Susan Calman is a well-known comedian and writer who has appeared on countless radio and television programmes from The News Quiz and Just a Minute on BBC Radio 4, presented Armchair Detectives and Secret Scotland, hosts the podcast Mrs Brightside and stole the nation's hearts in STRICTLY COME DANCING 2017. Her solo stand up show, Susan Calman is Convicted, was broadcast on BBC Radio 4 and dealt with subjects like the death penalty, appearance and depression. 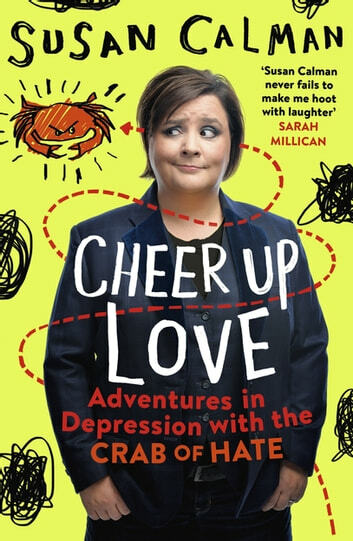 It was the overwhelming and positive reaction to the show she wrote about mental health that made Susan want to write a more detailed account of surviving depression when you're the world's most negative and anxious person. The Crab of Hate is the personification of Calman's depression and her version of the notorious Black Dog. A constant companion all her life, the Crab has provided her with the best, and very worst of times. 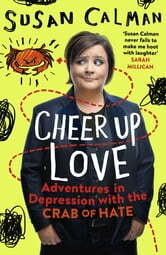 This is a very personal and affecting memoir of how, after many years and with a lot of help and talking, Susan has embraced her dark side and realised that she can be the most joyous sad person you'll ever meet. IT'S ALWAYS GOOD TO TALK AND TO REALISE YOU ARE NOT ALONE.